The first image of the black hole was generated from data that was taken simultaneously by eight different radio telescopes operating in millimeter wavelength between 5th and 11th of April 2017. This raw data, several petabytes in volume, was shipped in hard drives from the observatories. Images were reconstructed from the raw data using different computer algorithms. Four different teams worked independently with different image processing pipelines as to avoid biasing the results. All teams and pipelines produced similar results, which were also verified with simulated results from synthetic data. The final image shows an asymmetric orange ring around the shadow of the event horizon of the M87 central black hole. The color of the image was artificial, but the rest is consistent with the measured data and with our current understanding of the physics of black holes. 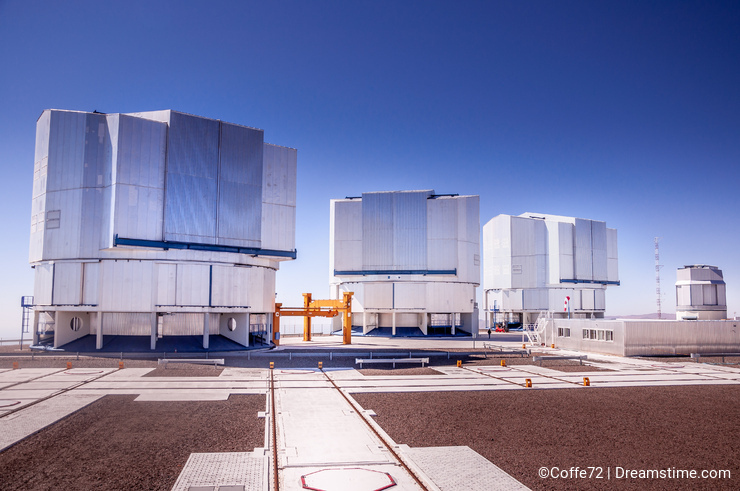 Today, 10th of April, 2019, the Event Horizon Telescope (EHT) interferometer team will publish its first results in multiple simultaneous press conferences around the world. In these results we will probably see the first image of a black hole. Now what is an interferometer and what will this image of a black hole look like? An astronomical interferometer combines the signals from many separate telescopes to make one virtual telescope with that has the effective diameter larger than any single telescope. In the case of the EHT, the effective diameter is that of the planet Earth! The team used this interferometer to image the central black hole of the massive galaxy M87 and the supermassive black hole Sagittarius A*, which is the black hole in the center of our own galaxy. 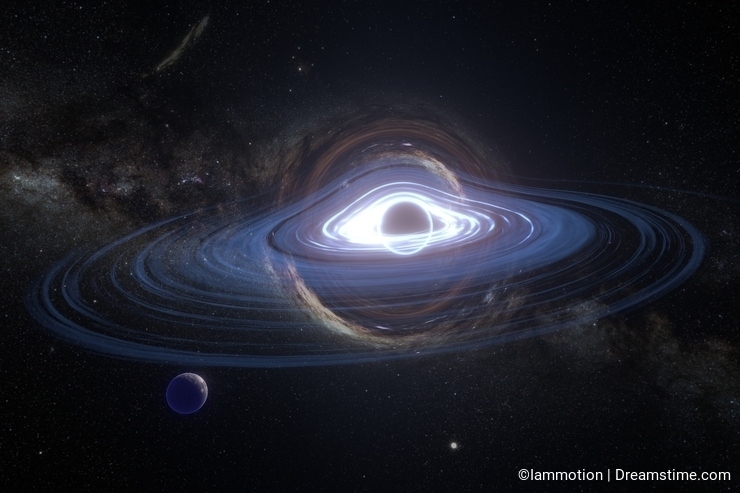 Because not even light can escape a black hole we of course will only see black where the black hole, or more accurately, its event horizon is supposed to be. But around the event horizon of the black hole is a huge glowing disc of matter, known as the accretion disc, which is heated up by the gravity so it will produce a lot of radiation all across the electromagnetic spectrum. If we were looking at this disc face-on, we could probably see it as a ring around the black hole. But even if we aren't looking at the accretion disc face-on, we can probably see it. Because the black hole's gravity will bend the space around it we will see all the light rays that come around the black hole in a such angle that they do not cross the event horizon. We can even see light coming from the accretion disc right behind the event horizon bent to a ring around it. If you have seen the movie Interstellar, you will know roughly how the black hole would look like, if we were a lot closer to observe it more clearly. Of course, we are far away from it so the image won't be quite as spectacular. But getting any image from an object 25 000 light-years apart from us is a (super)massive task and it would not be possible without the collaboration of hundreds of scientists and many different organizations all around the world. It would not be possible without development of new technologies and imaging techniques. I, for one, will be quite excited to see what the results are, and quite proud of what the scientists and engineers have accomplished. Later edit: Turns out, the first image released was from the central black hole of M87, which is over 50 million light-years away. Everything else stated still stands. Photo credits: Christian Offenberg, Patinya Santinonakit, Publicdomainphotos. Great article! While I love the technology and everything that went into that black hole image, it kind of just looks like an out-of-focus apple shot from above on a black background!